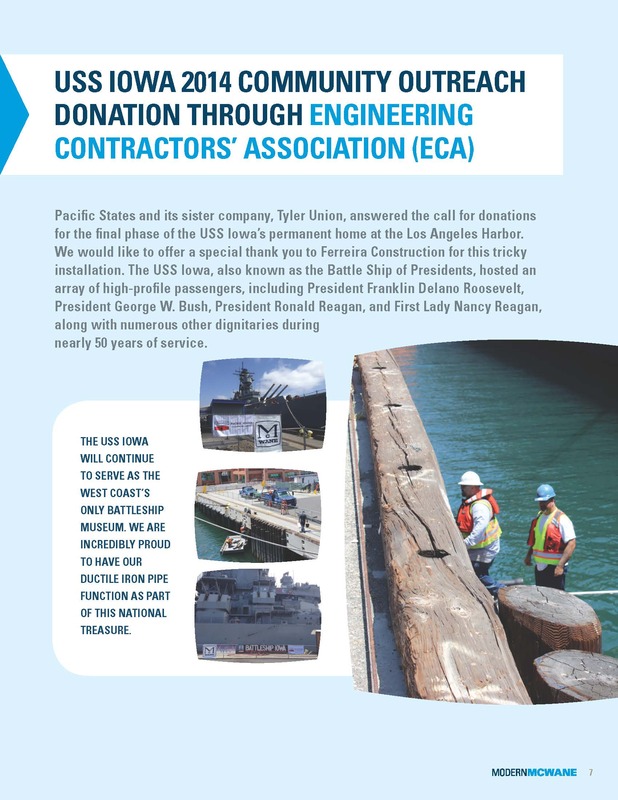 Pacific States and Tyler Union Donate to USS Iowa | McWane, Inc.
Posted on September 8, 2014, in Projects and tagged Battle Ship of the Presidents, ECA, Engineering Contractors' Association, Ferreira Construction, Pacific States, Tyler Union, USS Iowa. Bookmark the permalink. Comments Off on Pacific States and Tyler Union Donate to USS Iowa.